Obedience – How Important is it Really??? Many believers are under the misconception that because we are saved by grace, obedience is no longer necessary. In fact, there are some who consider grace to be a license to sin. So, in response to these prevailing attitudes, I have a question… How important is obedience, really? 6 “I am the Lord, and I do not change. That is why you descendants of Jacob are not already destroyed. 7 Ever since the days of your ancestors, you have scorned My decrees and failed to obey them. Now return to Me, and I will return to you,” says the Lord of Heaven’s Armies. 17 Whatever is good and perfect is a gift coming down to us from God our Father, who created all the lights in the heavens. He never changes or casts a shifting shadow. You see, beloved friends, whether we lived in Old Testament times, New Testament times, or in the hereafter, God remains the same. Therefore, since God found obedience pleasing in Old Testament times, and since He hasn’t changed, then we can infer that God still finds obedience pleasing and that He always will. Furthermore, when we rebel against God by disobeying Him, then we have committed a sin as bad as the sin of witchcraft. And though we are saved by grace, through faith, (Praise God! ), God still commands and desires our obedience. 9 “I have loved you even as the Father has loved Me. Remain in My love. 10 When you obey My commandments, you remain in My love, just as I obey My Father’s commandments and remain in His love. 11 I have told you these things so that you will be filled with My joy. Yes, your joy will overflow! 12 This is My commandment: Love each other in the same way I have loved you. 13 There is no greater love than to lay down one’s life for one’s friends. 14 You are My friends if you do what I command. 15 I no longer call you slaves, because a master doesn’t confide in his slaves. Now you are My friends, since I have told you everything the Father told Me. 16 You didn’t choose Me. I chose you. I appointed you to go and produce lasting fruit, so that the Father will give you whatever you ask for, using My name. 17 This is My command: Love each other. 21 Those who accept My commandments and obey them are the ones who love Me. And because they love Me, My Father will love them. And I will love them and reveal Myself to each of them. 9 “I have loved you even as the Father has loved Me. Remain in My love. 10 When you obey My commandments, you remain in My love, just as I obey My Father’s commandments and remain in His love. 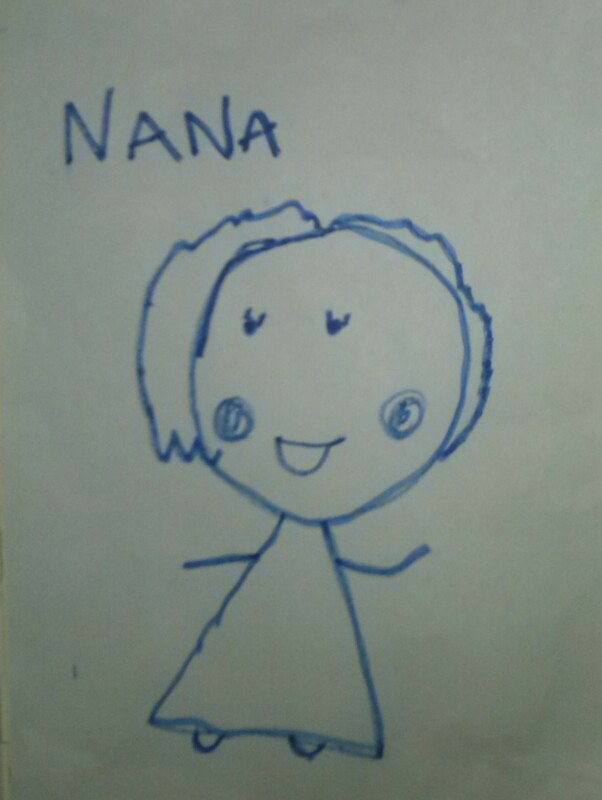 Beloved, here is the truth. If you have been saved by God’s grace, you can’t help but respond to Him in love, and the out-flowing of that love is the desire to please the One who loved us, while we were still lost in sin. When you truly love Christ, it isn’t a sacrifice to give up on our old ways. What becomes of utmost importance to us, is the yearning to live a life that brings glory and honor to Him, and disobedience no longer has any place in our lives. Does this mean that we will never mess up again? Of course not! As long as we walk in this body of flesh, there will be times when we sin and fall short of God’s glory. The difference between one who lives a life of obedience for Christ, and fails from time to time, and one who refuses to live a life of obedience, is that the one will fall, repent, and cry out to God for mercy and help, while the other will justify his/her sin. Hallelujah! Psalm 119 is a beautiful, powerful psalm, which takes us through the Hebrew alphabet, from beginning to end, as it focuses on the statutes of the Lord. Psalm 119:33-40 begins with the Hebrew letter, ה He, which is the fifth letter of the Hebrew alphabet and means behold! The word “teach” takes on a whole new meaning, when you see what the original Hebrew text was… Behold! Throw, cast, shoot, point out, show, direct, teach, instruct me… In this scripture, the writer is asking the Lord to cast him, shoot him, point out and show him. He’s asking the Lord to direct him, teach him and instruct him. Do you see it? When we become as an arrow, we relinquish control. We are now at the Lord’s mercy, as He takes us from His quiver, places us on His bow and takes aim. He is the One who directs us, choosing where He will send us flying to. He is the One who pulls us back and shoots us in the direction we are to go. As you can see, this requires complete trust in the Lord, as an arrow does nothing on its own. While in the quiver, the arrow rests quietly with the other arrows, waiting for its Owner to choose it. The arrow is not its own — it belongs to the Archer. Once chosen, the arrow rests in the hand of the Archer. The arrow has no say over where it is shot, or even how or why it is shot. It simply rests in the hand of the Archer, while He aims and points it in the direction it is to go, and then shoots it. Are you willing to rest in the hands of your Archer? So often, our problems arise when we try too hard to do things, rather than simply resting in the hands of the Master, and allowing Him to aim us and shoot us where He wants us to go. Now, remembering what it means when we say, “Teach me, O Lord,” let’s look at the “way” we are asking Him to teach us. As we rest in the Lord’s hands, we are asking Him to cast, shoot, direct and instruct us in the way, road, distance, journey, manner, path, direction, manner, habit, course of life and course of moral character that we should go. This is powerful. We’re not just asking for direction, we’re asking the Lord to cast us on the journey of our lives. We’re asking to be shot in the manner of our moral character. We’re asking the Lord to show and instruct us in our habits. Just think about this… When we ask the Lord to teach us, we’re asking Him to send us in a new direction — on a new way. We’re asking Him to send us on a course of life, to direct us in the way our moral character can be developed. We’re asking the Lord to shoot us toward new habits. It isn’t enough for us to read the scriptures, and then walk away with no change in our lives. We must seriously surrender to the Lord, rest in His hands, and ask Him to send us in the way that will change our moral character and the course of our lives as we develop new habits. According to this definition, the statutes we are praying for are our limits, ordinances, prescribed tasks, prescribed portions, the actions prescribed for ourselves, our resolve, boundaries, decrees and enactments prescribed by God… Think about it this way — as we pray this prayer, we are asking the Lord, to choose us from among the other arrows in His quiver, while we rest in His hand. Then, as we rest in His hand, He places us on the bow, aims us, and shoots us on our journey that will change the course of our lives, as our moral character and habits are developed. But how are these qualities developed? The Lord, casts us to our prescribed boundaries. He sets our limits before us as He casts us toward them so that we may enact His decrees. It is in the course of acting out His decrees that we develop moral character and new habits, thus establishing a new course of life. I not only promise to obey His word, which is vital, but in this instance, the promise I am making is to also watch over His word and guard it. I’m promising to guard His word with fidelity and preserve it. I’m promising the Lord that I will be a watchman for His word, keeping it close and guarding it from danger. As I read and study the word of God, something happens within me. As His word takes root within me, and the Lord speaks to my heart, zeal for His word begins to grow, and I find myself fiercely guarding His word from error. I find that it angers me to see people take the Lord’s word out of context or give it a different meaning than what He has clearly inspired its authors to write. I have become a watchman for God’s word. That is why I write against false teaching and false prophets and teachers. I do it because there is a fire within me for the word of God, and I cannot sit idly by while false teachers take advantage of those who do not know what God’s word truly says. My heart longs to see men, women and children come to the saving grace of Christ. I long to see them saved, healed and delivered from the sin that so easily besets us. I long to see them set free, and it is the TRUTH that sets us free. Therefore, I must speak the truth in love, expose the lies and also expose the false teachers that many have set on pedestals. For we serve a jealous God, and He alone is worthy of our worship, while some of the men and women who claim to be bible scholars and teachers of the word are charlatans who fleece the flock, and they must be exposed. Bless the Lord, my beloved readers. Meditate on this word from the Lord today, and commit yourself to asking Holy Spirit to teach you, aim you, shoot you and cast you towards the limits and boundaries that God has decreed for you, so that you too will be a watchman on the wall, guarding the word of God and hiding it in your heart to the end. This is just a friendly reminder that on Monday, April 1, 2013, I will be posting April’s Share the Love post. 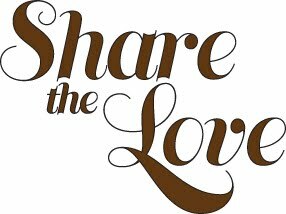 For any new followers who are not familiar with Share the Love, please click the link above to discover more information. I’m so glad the Lord inspired me to begin doing this, because it gives me the opportunity to focus on the blogs that He places on my heart, and really dig in to their posts. I love being able to share my favorite posts, and I love highlighting my fellow bloggers. It’s funny, because since the Lord led me to begin this monthly post, keeping the scripture above as the theme, it seems that in attempting to bless others, I’m the one who is most blessed by this project. You see, when the Lord places a blogger or bloggers on my heart for this montly post, I delve into their blog site more intensely than I might otherwise do. In doing this, I find that their words of beauty, poetry, instruction and prose bless me and fill needs that I’m sometimes not even aware of. And as I visit the sites of the many artists online, I am won over by the beauty and talent that God has gifted so many people with! Anyway, this is just a quick reminder to be watching on Monday, April 1, for the monthly Share the Love post! May the Lord bless each and every one of you, my beloved readers! Greetings My Beloved Blogging Friends! I just wanted to post a reminder for Share the Love, the new post that I began posting in February 2013, which highlights a different blogging friend each month. This past month has been such a trying time for me personally, that I almost chose not to do this post. However, God had other plans, as He led me to edify a very special blog site – one that is sure to bless each one of you! May the Lord bless each one of you as you continue to build each other up! Other people’s opinions didn’t seem to matter to Jesus. In fact, the ONLY opinion that mattered to Him was His Father’s, and if we’re to follow after Him, then that’s where our hearts must be also. It is easy for us to get so caught up in trying to please or impress others, that we often lose sight of what’s really important. Sometimes I get so frustrated with myself, because I want to please the Lord, and yet, all too often, I find myself trying to please my pastor, or other members of the church, knowing that this is not pleasing to God… Not only do I end up not pleasing God, I think I even grieve His Spirit, and that’s just horrible. Let me explain. Every year, at the beginning of the year, the pastor calls for a fast. Now, that’s not a bad thing, but has it become a tradition, a ritual, a religious act? I comply with this every year, sometimes successfully, sometimes not. But here’s the issue I have with this – This is not something Holy Spirit is leading me to do, and I end up doing it merely because I’m a leader of the church and it’s expected of me. And throughout the 21 days of the fast (yes, it’s always 21 days), I struggle because I have not been led by the Spirit to do this. It’s totally different when I hear the Spirit telling me to fast. Four years ago, when I went to jail to minister one Sunday, I was asked by the guards and the inmates to visit another inmate in her cell, who was having seizures. Now this was highly irregular. I am not normally allowed to go on the block, but the Lord was moving. I went back there, and as soon as I saw her, I knew that she was not merely having seizures. She was demonized. I knew what I had to do. 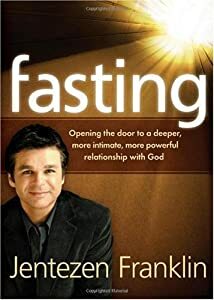 I went on a clear liquid fast, and a friend loaned me Jentezen Franklin‘s book, “Fasting: Opening the Door to a Deeper, More Intimate, More Powerful Relationship With God“. (If you haven’t read this book, I highly recommend it!) I started out planning to fast for 21 days, until I read the chapter about the flies, and I heard the Lord speak to me again. He told me this was to be a 40 day fast. It was amazing. I went to two women’s retreats during that fast, and if any of you have gone on retreats, you know that good food and fine dining are a part of the fun, but I was okay. I went to restaurants with my friends, and we had a great time, and I wasn’t even tempted to eat, because the presence of the Lord was so strong in me and I didn’t want to do anything to quench His Spirit and what He was doing in me and for the women that I ministered to in prison. This was a fast that the Lord called me to go on, and it had a purpose – His purpose. The next time I ministered in jail after this fast was completed, unbeknownst to me, the woman who I had ministered to before attended the church service. Now you need to know that I had never seen her in a church service before, nor since I had ministered to her in her cell, and I had only seen her the one time. As I was ministering, I looked to the back of the room, and I began to prophesy to this woman. Her countenance was changed and I didn’t recognize her at first, until the Lord revealed to me that she was the one that I had fasted and prayed for. I looked in her eyes and I told her that I had been fasting and praying for her for forty days. As she began to cry, I told her that she wasn’t just having seizures, she was demonized. She nodded her head as the tears flowed, and told me that since that Sunday when I had ministered to her, she hadn’t had anymore seizures, but prior to that, for several months, she had been having seizures multiple times a day. I was amazed by what the Lord had done, and that He had given me the privilege of being a part of His kingdom. No, we don’t have bulletins and programs and rote prayers like some denominational churches, but we have become traditional in other ways… And please don’t think I’m dishonoring my church by speaking this way, because as I said before, I love my pastor and the members of my church very much. And the truth is, on this side of heaven, there is no perfect church yet, until Jesus returns from glory and separates the goats and the sheep… and helps us sheep get right too. Here is where the real problem is… I have become traditional and religious and I have grieved Holy Spirit, and this grieves me. I hear the Lord saying to me, “I hate all your festivals and sacrifices. I cannot stand the sight of them! From now on, when you lift up your hands in prayer, I will refuse to look. Even though you offer many prayers, I will not listen. For your hands are covered with the blood of your innocent victims. Wash yourselves and be clean! Let Me no longer see your evil deeds. Give up your wicked ways. Learn to do good. Seek justice. Help the oppressed. Defend the orphan. Fight for the rights of widows. I hear You calling to me, Lord, and I repent. Forgive me for grieving You, for trying to please everyone and offend no one, and by doing this, I offended and displeased You. Forgive me Lord and change my heart. I repent Lord and I humble myself under Your righteous right hand. I will fast when YOU lead me to fast. I will serve YOU first – help me to be attentive to Your word. In Jesus’ name, amen.